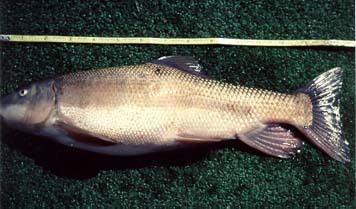 The Utah sucker, Catostomus ardens, is native to the Bonneville Basin of Utah, Idaho, Nevada, and Wyoming. 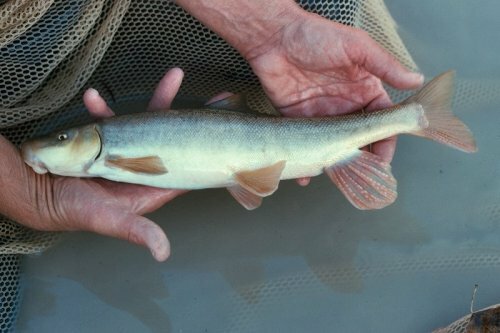 In addition to its native range, the Utah sucker has been introduced to, and become established in, the Colorado River system. Utah suckers are relatively abundant in Utah, especially in Bear Lake. In historic times, Utah suckers were an important food source for the people of Utah. Currently, however, Utah suckers are rarely eaten by man, and serve mainly as forage for other fish species. Utah suckers are benthic (bottom dwelling) fish capable of adapting to many different types of environmental conditions in both lakes and streams. Utah suckers consume plant and animal matter, with algae being a common food item. The species spawns during the late spring either in streams or along lake shores. Eggs are broadcast into the water, where fertilization occurs. No parental care is given to eggs or young.